– Why did you make the second movie like this, Mr. Jackson? Mr. Peter Jackson﻿ , why would you do this to the second movie? It is such a filler that I was almost sure that I’m watching something which is not from the Tolkien universe. As a lifelong fan of these books I have been awaiting every adaptation with huge anticipation. And with The lord of the rings you did such a perfect artwork, that the whole world was (and still is) at your feet. It is a true reconstruction of the whole tale. And even with the first Hobbit film you did a good, inspiring fantasy epic. But everything that you did right with the trilogy and the first Hobbit movie, you did wrong with the second one. 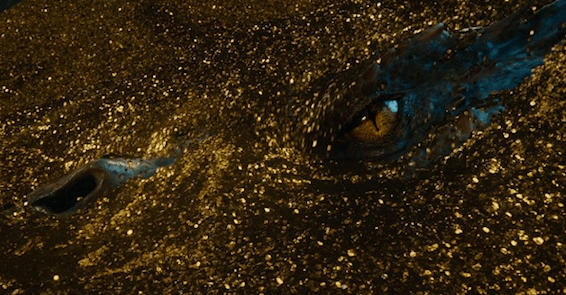 I cannot imagine how I would’ve felt if there wasn’t the scene between Smaug and Bilbo. The whole movie would have been pointless if it was bas as well. At least that scene was deserving. Of course that doesn’t change the fact that you made up 2/3 of the story and characters from The Desolation of Smaug. Scenes, characters, relations – all out of space and sense. And why? Because the big bosses from the studios implied that they want more movies and money. Because cinema is a tool which can be perverted. But you can’t do that to Sir Tolkien’s imagination! His works are beyond time, beyond people or wealth. So that is why I would like to ask of you, Mr. Peter Jackson – please do the third one right (you have the materials). If not to us, the fans, you owe it to Tolkien’s legacy.